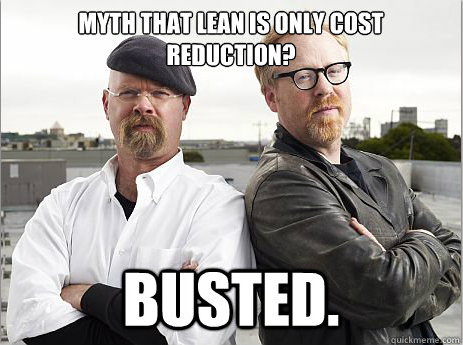 Last week was the conclusion of the Lean Memes contest organized by Mark Graban at LeanBlog.org. Many great contributions were submitted by many Lean practitioners/amateur comedians (finger pointing squarely at me) and I came in second place with my entries. Here are some of my entries and here is the LeanBlog post indicating the winners. It was a fun competition and great to show that we Lean guys and gals have senses of humor. In addition, I had the privilege of helping fact/data/solution/grammar/spelling/validity-check the recent ASQ Quality Press book release of The Lean Handbook: A Guide to the Bronze Certification Body of Knowledge. ASQ (the American Society for Quality) and other organizations have long held training programs for receiving Six Sigma certifications, but Lean certification programs have not been around nearly as long. This book is a resource for the joint Lean certification program provided by the Society for Manufacturing Engineers (SME), the Association for Manufacturing Excellence (AME), the Shingo Prize Institute, and ASQ. I am not certified to this standard established by these organizations, but my years of experience had introduced me to just about all of the book’s contents and I had working familiarity with most of the information. Either way, the book was jam-packed with lots of new ideas and ways of looking at solutions. I was just happy to help out with cleaning it up.